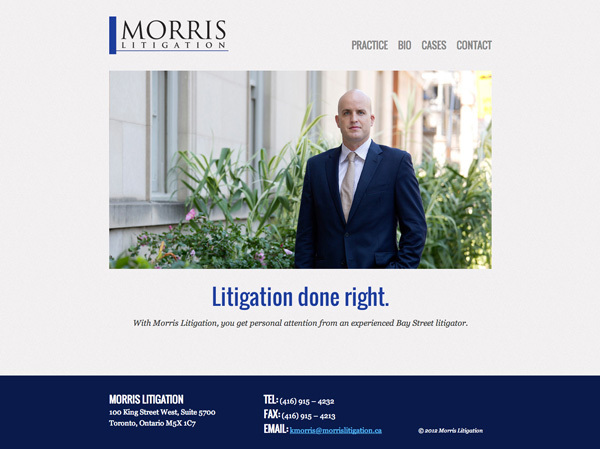 I designed and developed the Morris Litigation website for Ken Morris, a lawyer from Toronto. Designing the site around his pre-existing logo and branding, I created a simple and professional-looking website for his new litigation practice. The site is fully responsive to provide a great experience on computers, tablets, and mobile phones.